We have had another busy two weeks of learning at CMS. A highlight was a visit from Engineers Without Borders, who helped to expand our students’ ideas about what engineering is and what career pathways are like in this field. A big piece of work that the school has embarked on this term is setting up our improvement priorities for 2019. We have been analysing our learning, perceptual, attendance and behaviour data to determine where we should focus our energies in 2019. We would like to involve families and community members in this planning and we have scheduled a consultation session from 5.30-7.00pm on Tuesday 13th November in the Library. We would love it if you could join us. 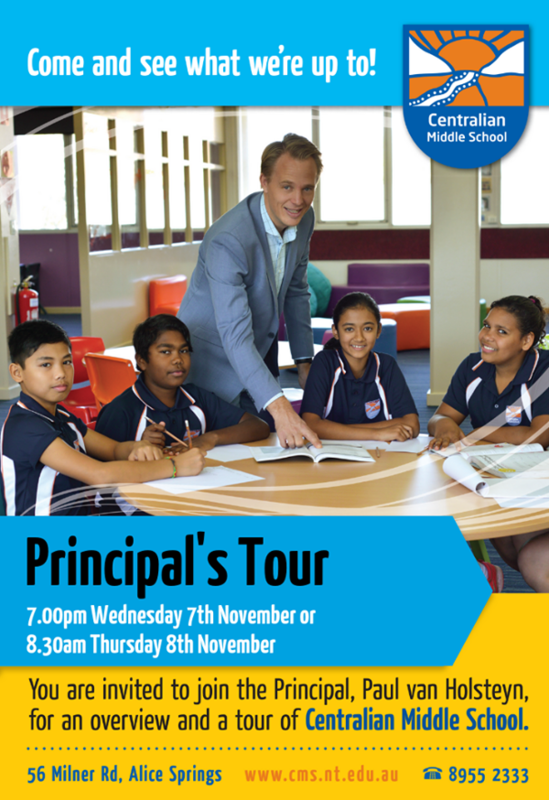 Next week we have our final scheduled Principal’s Tour and Information Sessions for the year. These sessions are great opportunities for families to see the school who are considering enrolling their young person in the school. We have two sessions: 7.00pm Wednesday 7th November or 8.30am on Thursday 8th November. Please pass on information about these sessions to people you know who may be interested. We are obviously also chasing down enrolments for 2019. I know that things are relaxed in Alice Springs, but it is very difficult for us if families wait until the last minute to enrol their young person. Enrolment forms are available from our office or from each of the government primary school offices. Last Friday was World Teachers’ Day which our staff celebrated. A highlight of World Teachers’ Day are the Teaching Excellence Awards. 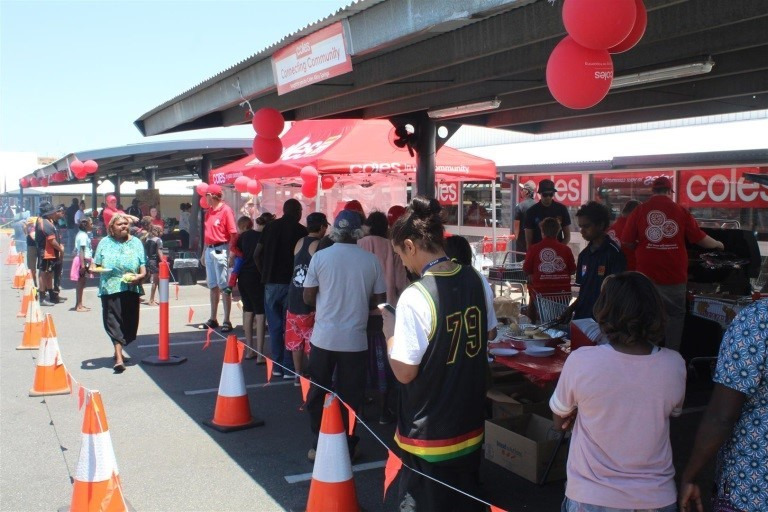 We had a very large number of staff nominated - Kate Axten, Jamahl Hayes, Kiah Smith, Denise Casey, Tom Clements, Luis Nankivell, Julia Pearson, Tayla Seymour, Kirsten Wilson, Bonnie Chapman, Wellington Pasi, Carly Phillips, Elle Rasmussen, Jack Talbot, Cassie O’Bree and Paul van Holsteyn. 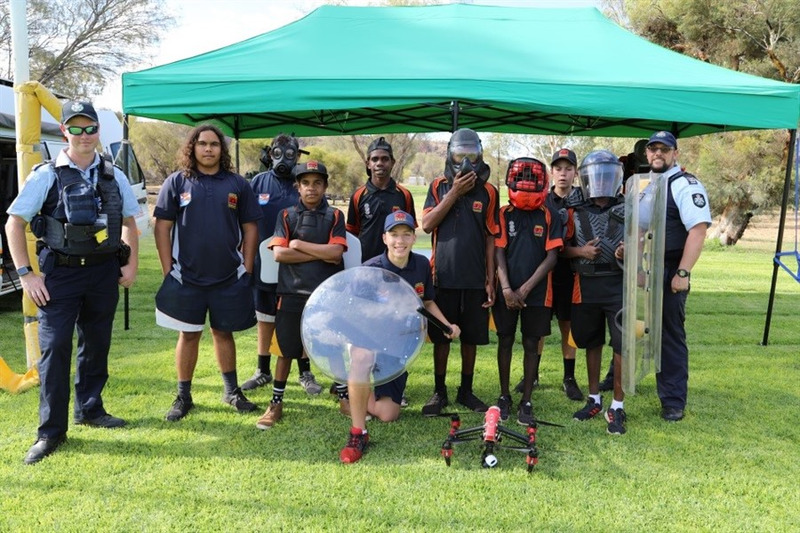 From this list, Jamahl Hayes, Cassie O’Bree and Bonnie Chapman were finalists and I am delighted to announce that Jamahl Hayes won not only the Alice Springs Region Aboriginal Educator of the Year but this award across the whole territory. Congratulations Jamahl – a huge accolade! 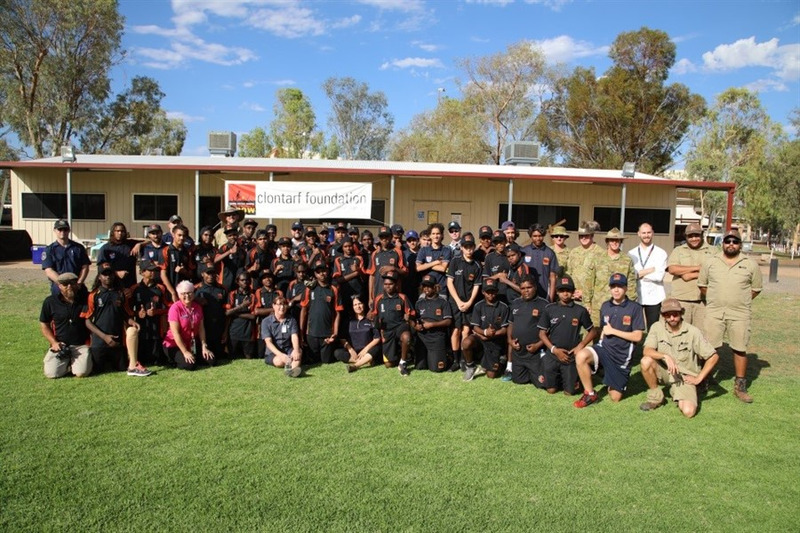 Unfortunately we have had to farewell Miss Smith, the Arrernte Teacher with the Language Centre, who recently passed away from an aggressive cancer. Our condolences and wishes go to Miss Smith’s family. Prospective families are invited to join us for a tour and information session at 7.00pm on Wednesday 7th November or 8.30am on Thursday 8th November. 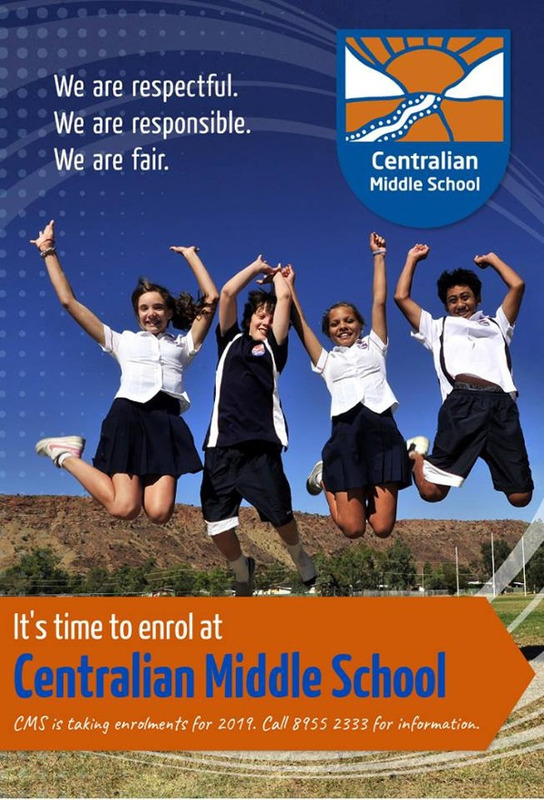 It’s time to enrol at CMS if you have a young person who is joining the school in 2019. Forms are available from the Front Office. Each term we provide you with Assessment Schedules so that you can understand what the learning focus is in each year learning area and when key tasks are due. Please find below the Term 4 Assessment Schedules. We will issue formal semester end reports on Wednesday 12th December. It ain’t pretty but its happening! A number of staff are participating in Movember this month to raise funds for the Movember Foundation. Funds raised as part of Movember go to mental health and suicide prevention and fighting prostate and testicular cancer. We will be having a fundraising free dress day on Friday 16th November. Students bring a gold coin to participate. 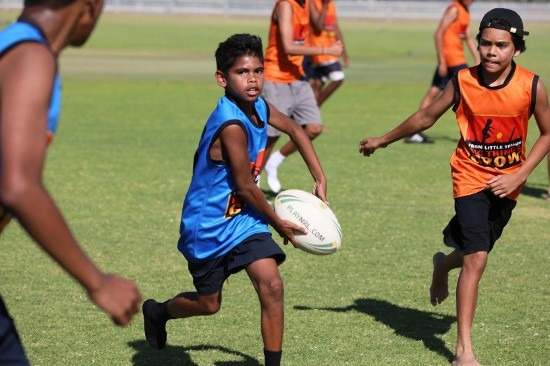 It has been a busy start to Term 4 for our Clontarf lads last week we started off with our State of Origin, Queensland VS NSW. So far both teams have won one game each, with the decider next Tuesday after school. All staff are welcome to come see a fast skillful game our boys have to offer….. Let’s go NSW!!! 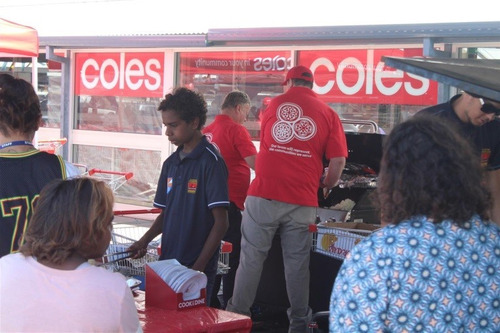 Our three central Clontarf Academies participated in a community event held by one of Clontarf’s partners Wesfarmers (Coles). Two boys from the CMS academy took up their weekend to help the community cooking and serving up a BBQ. It was particularly pleasing to see the boys meeting new people and stepping out of their comfort zone and building a worthy rapport amongst the community. The Clontarf Pathways Expo has once again been held in the Central Region at Yirara College in Alice Springs. This is the fifth Clontarf Pathways Expo and is an annual event on the Clontarf Central Region Calendar. 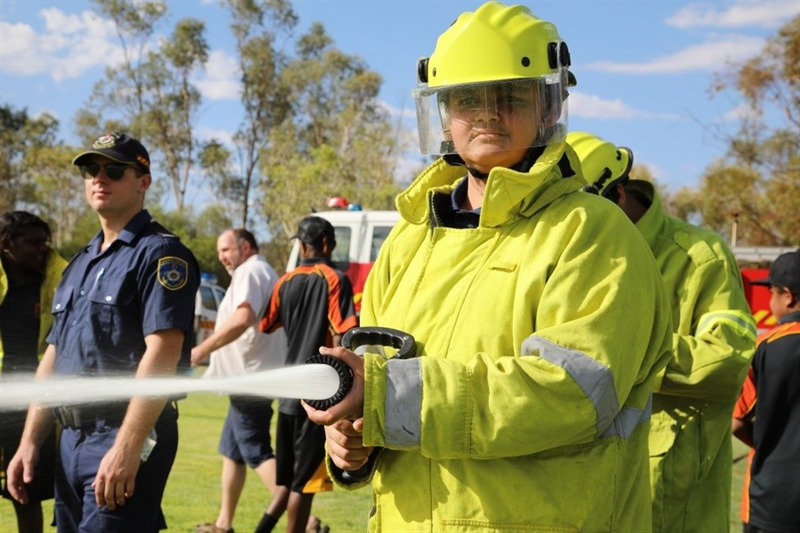 The Clontarf Pathways Expo is deliberately aimed at the Year 9 students to provide hands on exposure to Employment sectors within the Central Australian community. Clontarf feels this is a vital part of our program as students going into their senior years are now required more than ever to be deciding upon School Base Traineeships, Apprenticeships and VET Link subject choices. Providers who attended the 2018 Expo were: Norforce – Australian Defence Force, Australian Federal Police, Northern Territory Fire & Rescue Service, NT Department of Health and NT Parks & Wildlife. 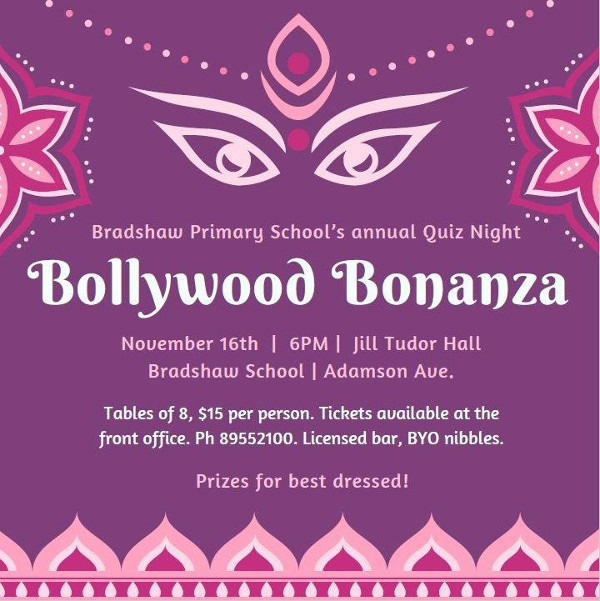 Come and support Bradshaw Primary School’s quiz night – Friday 16th November. Always a great night out.